Enjoy classic gameplay, amazing 3D graphics and surprising bonuses in Ball-Buster Collection! 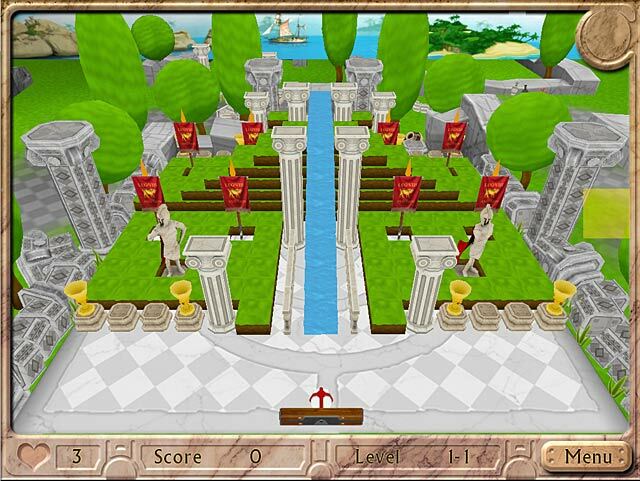 Catch, bounce and bust balls through complex 3D constructions in 4 eye-popping worlds: Stone Age, Ancient Greece, Candy World and Fantasy Forest. Beat your best score by collecting wild powerups, including weapons, magnetic paddles, shields and more. With over a dozen bonuses, 300 kinds of blocks and 1001 incredible 3D levels, Ball Buster Collection is non-stop, no-holds-barred, action-packed fun! Ball-Buster Collection is rated 1.9 out of 5 by 15. Rated 5 out of 5 by paulparsons83 from Excellent I love the 3D effect and sound Qualty too the only issue is I changed Debit card and on old card they charge me £3.08 but on new debit crd they want £ 7.70 how appalling must be a error. Rated 5 out of 5 by Verna93 from enjoyable game with a lot of fun levels What I like best about this game is that you don't have to win and advance through levels to enjoy playing higher levels. The 4 themes are fun and I like picking out a gameboard from so many choices. This is not a hard game but is fun and even though I am used to playing harder arcade games I really enjoyed the more relaxed feel to this one. I think the graphics are good. The music is ok. Rated 3 out of 5 by pennmom36 from BUST SOME BALLS! In all fairness this game would be great on a smartphone! It's a mildly entertaining game of "pong" with a few upgrades. You can choose to play a game of your choice or opt, as I did for a random game. 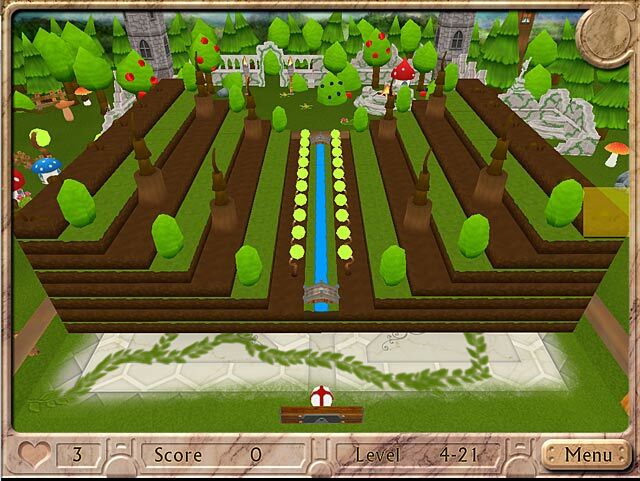 The object of the game is to shoot a ball at the block formation with trees and various obstacles, in an attempt to clear the board. The goal is to move your paddle to keep the ball in motion and not passing your paddle to end your life. As the ball hits the different blocks it releases different features such as an extra life, or turning your ball into a thorny or fireball and also giving your paddle the ability to shoot cannons or lazers or a magnet. As I stated before, if this is available for a phone it could help you pass some serious time! Rated 3 out of 5 by BFFirefly from Brick Blaster I enjoy a good brick blasting game for a change of pace. Beautiful 3D graphics and great power-ups. The challenge level was good without being frustrating. The only con and what will stop me from buying this game is that the Windows cursor is always present and most of the time you find it has crept into your field of play and I found that distracting. I looked to see if the cursor settings could be changed under Options and nothing was offered. Try it for yourself and decide if the cursor bothers you but I'll stick with my Adventure Ball put out in 2005 that has all of this without that distracting cursor. Kind of a shame because I would have bought this game. Rated 2 out of 5 by acipensera from good while waiting for other downloads 10 mn playing the demo: slow, without any storyline (why the Roman Empire ??? ), boring music, mecanical, no surprise...1001 levels ! oh, no ! Rated 1 out of 5 by BalsallHeathen from Give this a miss I was looking forward to this - something different from the usual HOGs. What a disappointment. Everything about it was awful. I lasted less than ten minutes before I gave up on it completely. Don't waste your cash or a credit. Rated 1 out of 5 by cfilipowich from What a waste of my game credit! I didn't try the demo, so sure it was going to be a great game. WRONG the paddle in the game couldn't keep up with the mouse and it made for a terrible experience. Skip this one!!! Rated 1 out of 5 by colorsplash from Still No Imagination What I want to know is why can't someone come up with a brickbuster game that has some oomph to it. There hasn't been a decent brick buster since Fairy Treasure. Or is it just that BFG doesn't have them. I don't know...there are so many imaginative games in the Hidden Object/adventure genre and NOTHING in BB games.And NO Pinball games at all. This game is same old same old nothing new./Blah graphics and REALLY TERRIBLE MUSIC! 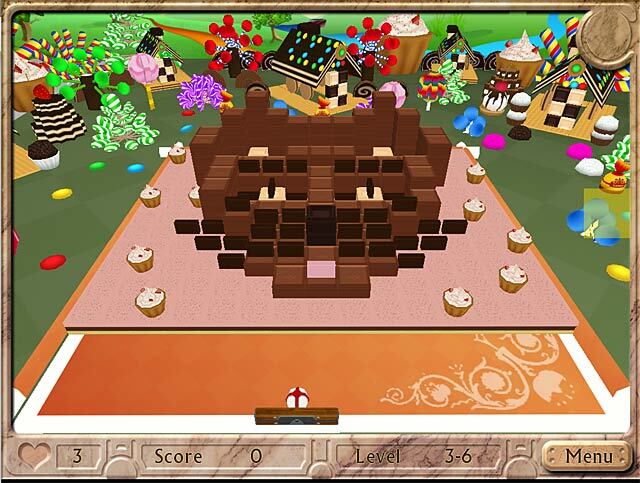 With over a dozen bonuses, 300 kinds of blocks and 1001 incredible 3D levels, Ball-Buster Collection is non-stop, action-packed fun!